Everyone needs some laughter in their life. Laughter provides a mini escape from the grind of everyday life. 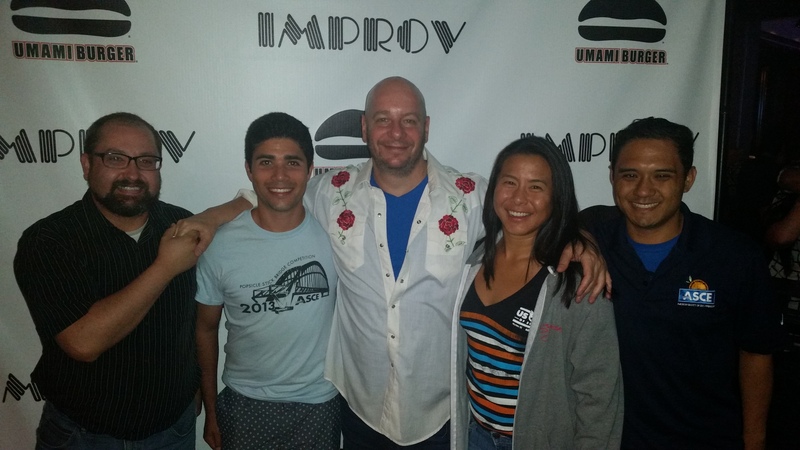 OC YMF hosted a Comedy Night at the Irvine Improv on Saturday March 28. The headline comedian was Jeff Ross who is known as the roast master general. The night was extra special as it was the night before the showing of the annual Comedy Central Roast. All in attendance were treated to his uncut and uncensored set from the yet untelevised Comedy Central Roast. The very funny night from Jeff Ross ended with what he does best, roasting. He speed roasted selected members of the audience and everyone had a great time. At the end of the night, attendees from OC YMF got to take a picture with the Jeff Ross himself. Everyone had a great time and had lots of laughs.